The physicians at MOA can diagnose and treat even the most intricate orthopedic conditions. The members of their staff work very closely with one another to provide the best individualized care and a positive state-of-the-art orthopedic experience to all their patients in an efficient, compassionate and helpful manner. 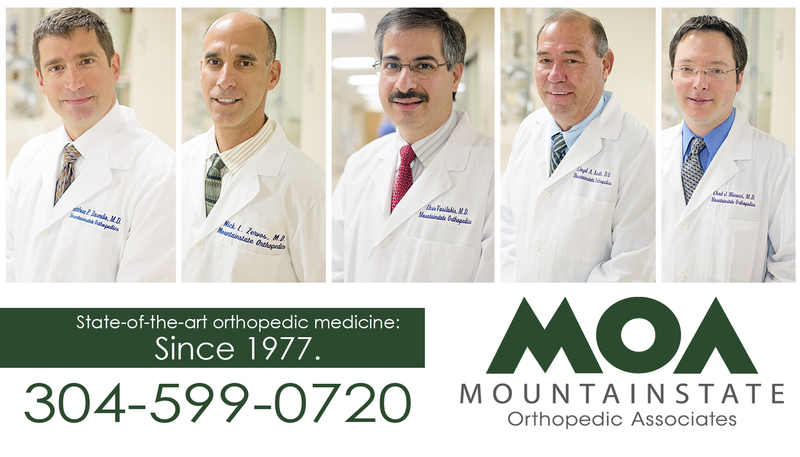 Physicians from left to right: Matthew P. Darmelio, MD; Nick L. Zervos, MD; Chris Vasilakis, MD; Lloyd A. Kurth, DO; Chad J. Micucci, MD. What was the most important element of the campaign? Educating potential patients, in large part throught the use of video. The idea was to create compelling, short-form videos through story telling that engaged the viewer enough to do something about their own problem, whether it be knee, shoulder or carpal tunnel syndrome pain, etc. Video is a powerful tool when produced correctly. First and foremost, you need remarkable content that is going to entice viewers. Video can attract and hold audiences' attention much better than print can. It can also appeal to emotions on a wider scale. In the campaign there are videos of each doctor talking about their specialty. Seeing a doctor on camera and hearing them talk about why they love what they do and seeing their passion for the trade is something many patients don't get to see. There's comfort in knowing that these doctors care about you and do their best work at all times. Video builds trust and earns your organization more credibility. There are also testimonial stories in the campaign where recent patients express their gratitude and experience with MOA. As a potential patient, reading a testimonial is one thing, but actually seeing the person on camera retelling their journey and then seeing that they are still able to do all the things they love after surgery is very influential. By creating educational videos about your organization and by implementing useful statistics that teach your patients something instead of just talking about your services, your credibility will raise by leaps and bounds. Too many organizations today are trying to sell to potential patients. They don't want to be sold to; they want to be educated. They want the truth. Video has the capability to drive greater conversions from visitors to leads, from leads to patients and from patients to promoters. By producing high-quality video, potential patients will look at you as a more legitimate company. Also, video marketing will increase your Search Engine Optimization. You want potential patients to find you as easily as they can online, and you want to be ranked high in search engines. Video can help you achieve this so your company is found over your competitors. Every organization has a story to tell. It is our job to get the story out to the public in the best means possible. Video is an excellent story telling device, and when done right, your business can reap many rewards. If you want your company to be at the top of search engines, increase website traffic, convert visitors into patients and therefore increase revenue, video is a must. Video can work for any organization, especially the health care industry. We know you have a story to tell, and we want to be the ones to tell it. With high definition video and great content, we can tell your story in a way that will make people listen and take action. To read an inbound marketing orthopedic case study, click here!